The Fujifilm X100T features a new electronic rangefinder view mode, built in Wi-Fi, and improved design. 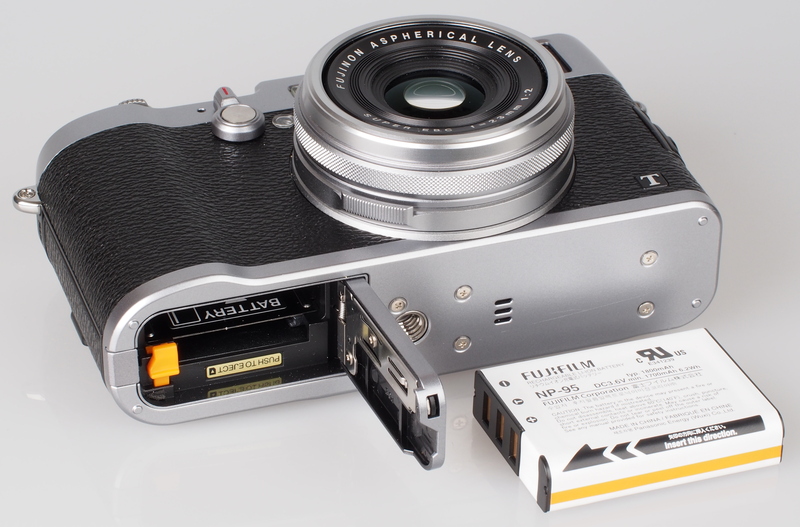 The Fujifilm X100T is the third version of the X100, a premium compact camera with a large APS-C sensor. The X100T updates the X100s, with a new Electronic RangeFinder display, built in Wi-Fi, and a number of other improvements designed to make the camera more enjoyable to use. 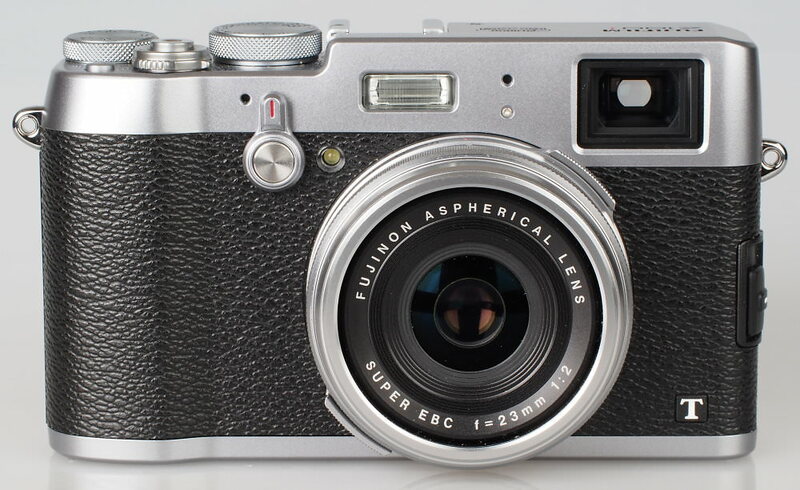 Updates over the previous Fujifilm X100s include a new Advanced Hybrid Viewfinder with electronic rangefinder display. Improved operability, as well as a new Film Simulation mode called "Classic Chrome". In addition, there is now a new Electronic Shutter mode available that can shoot up to 1/32000 sec. Built in Wi-Fi has been added to allow Remote Shooting from your smartphone over Wi-Fi. The exposure compensation dial has been improved offering +/- 3 EV compensation compared to 2 on the previous model, the shutter speed dial also includes additional shutter speeds, and a microphone socket has been added to improve full HD (60fps) video recording. Borrowing X-Trans CMOS II sensor technology from the Fujifilm X series of compact system cameras, the camera doesn't feature an anti-aliasing / optical low pass filter and this is designed for improved image quality, particularly sharpness and detail. The X-Trans CMOS II sensor also offers improved low light performance thanks to lower noise. In addition to this, the camera features an EXR image processing engine (II) for high speed shooting and performance from the camera. The viewfinder has been improved, not in terms of resolution, which is the same as the X100s with a 2.35million dot unit, but instead in the way you can use the viewfinder. 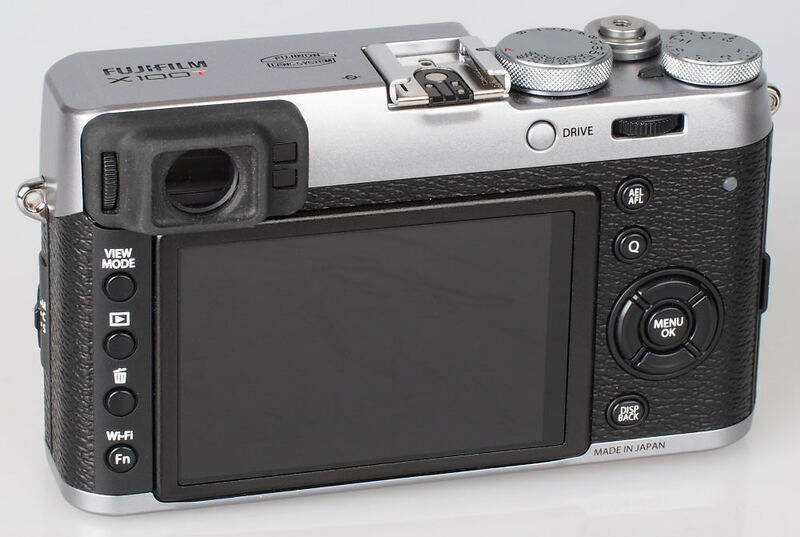 The camera features the same hybrid optical / electronic viewfinder operation as the X100s, letting you can switch between the optical view and electronic overlay, and a full electronic view, using the dedicated switch on the front of the camera (pull towards the shutter release button). 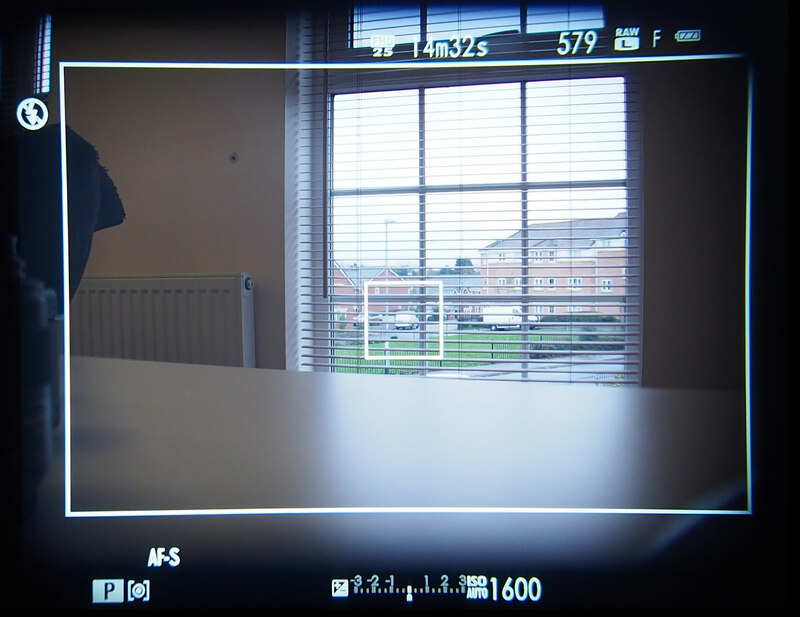 The camera adds a new electronic rangefinder mode, when you push the switch on the front towards the lens, this gives you the optical view, with an electronic inset showing the centre of the frame magnified. The camera also features "Digital Split Image Display" which lets you focus the camera manually in the same way as older film SLR cameras, except this time as it's digital, you can enlarge the view on the screen of the camera. The camera body is metal, and to compliment this, the camera comes with a solid magnesium lens cap. The lens cap does not have a strap loop so will need storing in pocket or camera bag. The inside of the lens cap is padded to avoid damaging the lens. 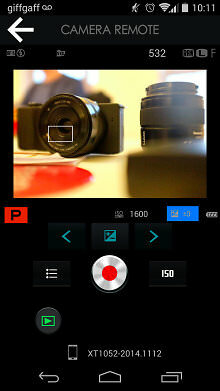 The red switch is the viewfinder selector, you use this to switch between the different viewfinder modes. Next to it is the microphone (R), and the focus assist lamp. Above the lens is the flash, and next to this is the microphone (L), and finally the viewfinder. 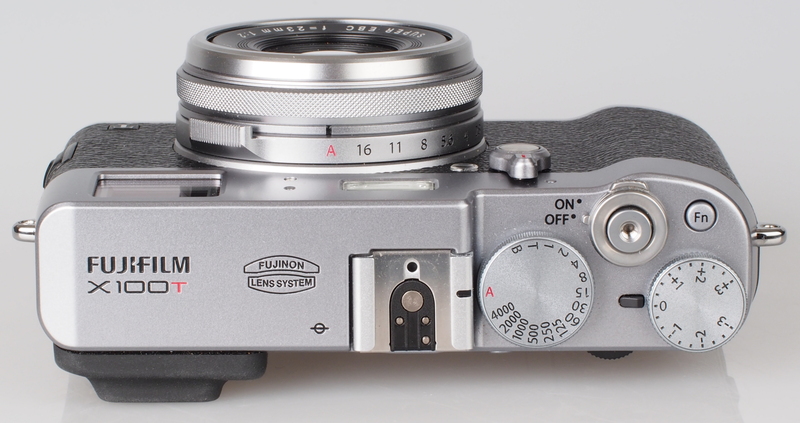 The top of the camera features (from left to right): Hot-shoe, Shutter speed dial, ON/OFF switch, Shutter release button, Exposure compensation dial, and the top Fn (Function) button. 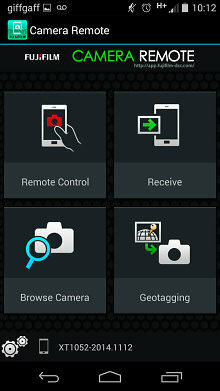 The function button can be customised, however the default setting is to record video. You can also see the aperture ring (above) on the lens with settings from Auto, f/16 to f/2, and in front of that is the manual focus ring. The manual focus ring direction can be changed in menu, and is an electronic ring (drive-by-wire) rather than a physical focusing ring. The back of the camera features: Diopter adjustment control, Viewfinder window, Eye sensor, View mode, Playback, Delete, Wi-Fi / Fn buttons, 3inch LCD monitor, Drive button, Command control, AFL/AEL lock, indicator lamp, Q button, Menu / OK button, 4-way control buttons, and the Display / Back button. The Q button gives quick access to options on the rear screen without having to go into the menu options. The 4-way buttons on the back that surround the Menu / OK button are no longer labelled, as you can now customise these buttons. There are a total of seven buttons that can be customised. 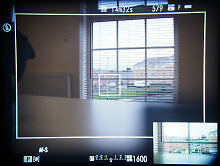 There are 49 focus points, covering a wide area of the frame. The optical viewfinder is large and gives a good view of the area surrounding the frame. 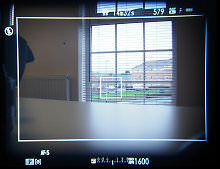 The electronic viewfinder is of a good resolution and gives a good idea of what the photo will come out like. Using the electronic rangefinder view is a good way to view both the optical view as well as give a good indication of how the photo will come out. The optical viewfinder is not available when macro focus has been switched on, as the optical viewfinder would not be correctly lined up with the subject. Like other new Fujifilm cameras, the X100T benefits from new menus that are more neatly arranged, and therefore more easy to use. You also benefit from the Q button for quicker access to options on the rear screen. The ample external controls for aperture, shutter, exposure, Q button and the Fn button should suffice for the majority of settings, without the need to enter the menus. 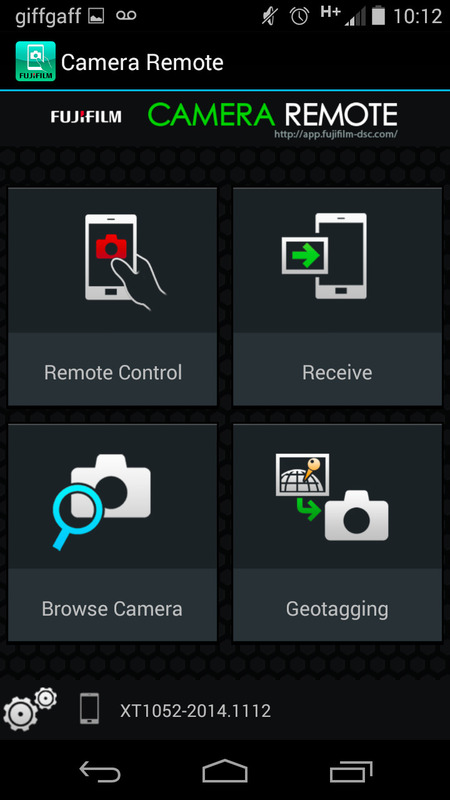 Wi-Fi features: Fujifilm Camera REMOTE app, available for iOS and Android devices, lets you remotely control the camera, receive photos, browse the camera, and add geotags to images. When using the camera remote you can use the touch screen of the smartphone / tablet to set the focus point, as well as change settings. 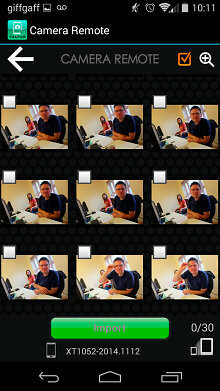 Battery life - Battery life is rated at 330 shots according to Fujifilm / CIPA test results, which is good. Although we would recommend a spare battery if you plan on shooting more, or using Wi-Fi extensively. Focus and shutter response are both very quick. Continuous shooting is impressive at 5.8fps shooting up to 59 frames (JPEG Fine) before slowdown, or 7 shots when shooting raw before the continuous shooting speed slows. 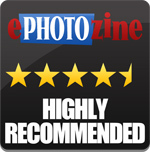 Sample Photos - Colour reproduction is excellent, with bright colourful images with pleasing saturation levels, and for added impact Velvia film can be selected. Some red-eye is visible in flash portrait shots, although with a 35mm equivalent it isn't ideal for portrait shots. Lens Performance - Dynamic range is good, with reliable exposure, and dynamic range can be expanded using the DR options or the auto exposure bracketing option. Image quality is excellent across the frame with excellent detail, even into the corners, with very little distortion, vignetting or chromatic aberrations. Some purple fringing was noticed in the shot of the trees above, although wasn't a massive issue. Lens flare can occasionally be an issue, depending on where the bright light source is in the frame, however this can be used for creative effect or avoided by reframing the shot. Macro performance is reasonable, letting you focus on subjects roughly 10cm away from the front of the lens, although results are soft if shooting wide open. Thankfully this isn't a problem when shooting at normal focus distances. ISO Noise Performance - For the lowest noise and best detail possible we would recommend using ISO100 to ISO1600 / ISO3200, as images have low levels of noise and good levels of detail. For lower light situations ISO6400 to ISO12800 still provides good results, although noise increases and detail is reduced. At ISO25600 noise levels become strong and we would recommend avoiding this setting if possible, although results may still be useful if resized and used on the web. ISO51200 is best avoided as noise is extremely high, and detail is very low. ISO200-6400 is available when shooting RAW / RAW+JPEG, although ISO100, 12800, 25600, and 51200 are available as JPEG only. White Balance Performance - Auto White Balance (AWB) gives a yellow / warm colour cast under tungsten lighting, with the tungsten preset giving a more neutral result. AWB performs very well under fluorescent lights, with the fluorescent presets giving a strong colour cast. Panorama mode - Panoramic mode lets you simply press the shutter release button and pan the camera around, with the camera automatically stitching the photos together. 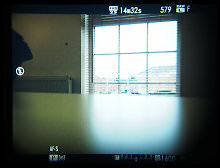 Results are quite good with the camera recording a high resolution image, although there are some signs of ghosting. Digital Filters - The Fujifilm X100T has a number of film simulation modes, including Velvia and a new Classic Chrome option, as well as a number of artistic filters, as shown above. 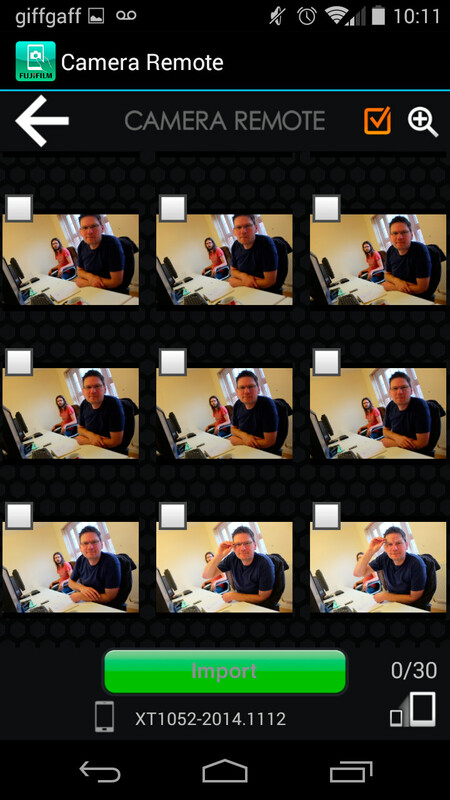 Video - Video is recorded at 1920 x 1080 pixels / 1280 x 720 pixels (60fps, 50fps, 30fps, 25fps, 24fps) with stereo sound. There is a mic socket if you want to use an external microphone, as well as full manual controls and audio level adjustment. 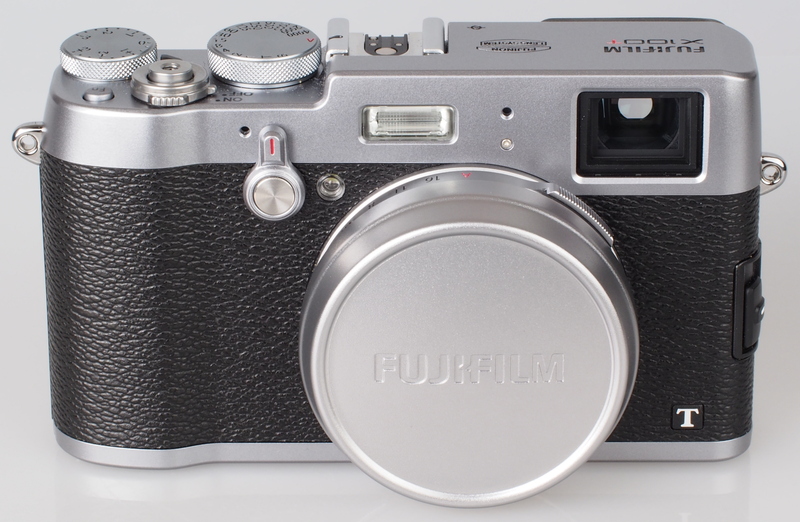 The Fujifilm X100T has a hybrid optical / electronic rangefinder viewfinder which makes the camera a unique proposition. With retro styling and handling, thanks to the two-tone silver and black design, the camera feels great in the hand, and with a large number of external controls you have direct access to aperture and shutter speeds making the X100T feel like a "real" camera, with responsive controls. The X100T has a bright f/2.0 35mm equivalent lens and as long as you are happy with this focal length then the camera would make an excellent choice, delivering extremely high quality photos. There is also the option of a wide-angle (WCL-X100, 28mm equivalent) and telephoto (TCL-X100, 50mm equivalent) adapters giving additional versatility, although these do add additional bulk to the camera. The Fujifilm X100T is priced somewhere in the middle of APS-C compact cameras, and for many happy X100 buyers, the X100T will deliver many useful updates, including better image quality, a better EVF, quicker controls and response, although the price may put some people off. 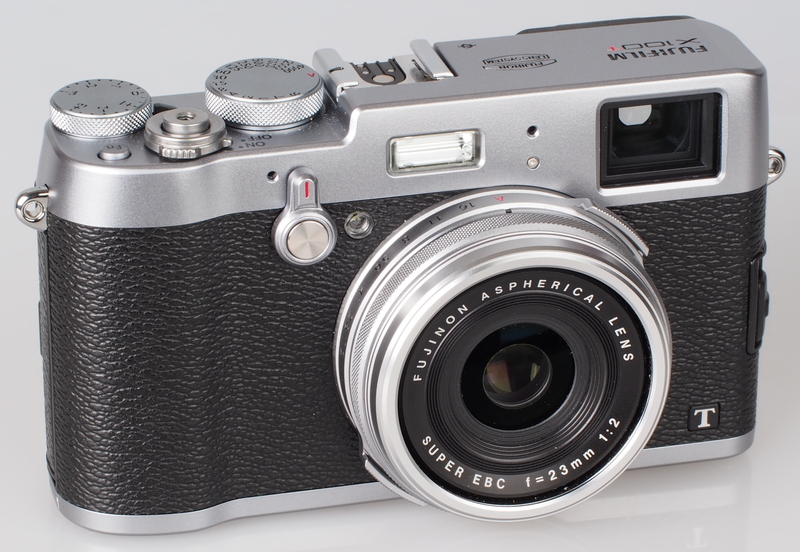 For owners of the X100s, the upgrade to the X100T may not be as appealing. If you are looking for a high quality compact camera with a large sensor, then the classic retro styling and large viewfinder, along with excellent image quality and beautiful Fujifilm colours, make the Fujifilm X100T a great choice, and highly recommended. The Fujifilm X100T delivers great photographs and is a pleasure to use with a classic design and large optical viewfinder. Is it a good camera? Yes. Is it worth a grand? No. Is it a good camera? Yes. Is it worth a grand? No. I bought the S version today lower price when the next installment is out. Nice refinements. I hope that is a hint what we can expect from the next X-Pro (if they ever should make one).